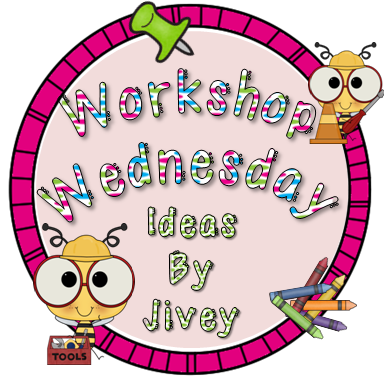 Hi Friends, I am excited to link up with the one and only Jivey, for her last Workshop Wednesday post of they year. The topic is "Books you use at the end of the year." Since here in Connecticut, we've had so many snow days, we tacked on days to the last day of school. Almost two weeks to be exact! We now have 23 days left and have just started our last unit on heroes. This is one of my favorite units to teach for many reasons, one being that the students really connect with the unit. 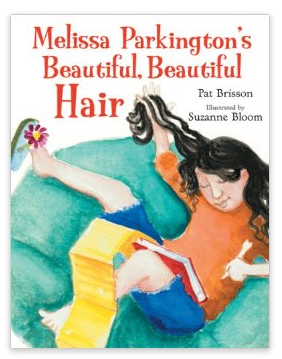 I always read the book, Melissa Parkington's Beautiful Hair. I love this book because the kids totally get it and understand that being a "hero" is something that is achievable even at a young age. Amazon reviewed this book stating: Melissa wants to accomplish something special, but what could it be? "Spectacular!" "Gorgeous!" "Fabulous!" Those are some of the words people use to describe Melissa Parkington's hair, which is long, thick, and so shiny that it seems to sparkle. But Melissa would like to be known for more than her hair. Melissa wants to do something spectacular. But everything she tries doesn't seem to work out. Then one day she discovers that she can do something special—with her hair. Pat Brisson's engaging and thought-provoking story features lively illustrations by Suzanne Bloom. This is a great introduction to discussing sacrifices students have made in order to help others. It also provides a great introduction to the website Kids are Heroes. Seriously, this site is awesome to use in class. I usually have my students browse the heroes and take notes of the students that did deeds they could connect with. It also inspires other students to nominate each other and themselves. The site has great tools for giving "Shout Outs" (sending notes to the heroes), searching for updated information on their Facebook pages, tweeting the children, or even reading newspaper articles about the heroes. It is very engaging, inspiring, and real for everyone. I have some students that collect animal supplies instead of birthday presents to donate to animal shelters, others who have donated to Locks for Love continuously, and even other students who have held lemonade stands every summer to earn a charity donation. Today, after finishing the lesson, some students begged me to let them nominate themselves. We ended up printing some parent consent forms. I told my students if they wanted to get on the site, I will help them write nominations in class. This is such a real world connection for the students. It makes me proud that a book and website can spark such an interest and excitement in my students. I am looking forward to the rest of this unit and to seeing what my students come up with for nominations.